Improving your home’s curb appeal does not have to be difficult or expensive. Sometimes, just one little change can make a world of difference. Take your mailbox for instance. If you have an old worn out mailbox, it can make your entire property seem a bit less than spectacular. 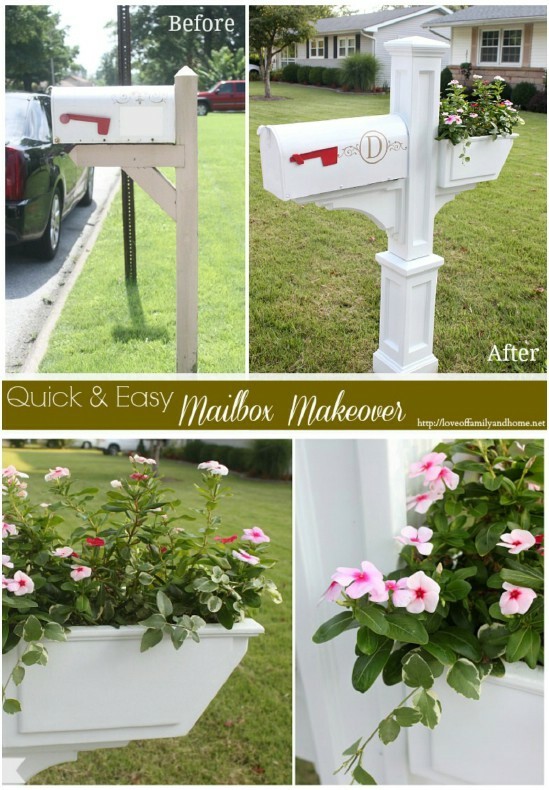 Lucky for you, I have found 15 easy DIY mailboxes that will help you to instantly improve your curb appeal. All of these are super easy to make and they won’t cost you much at all. Whether you want to build a completely new mailbox or you just want to redo your mailbox post, I have just the list of DIY projects for you. These mailboxes range from wooden to copper and everything in between and they are definitely going to perk up your yard. Who knew that it would be so easy to spruce up your property? 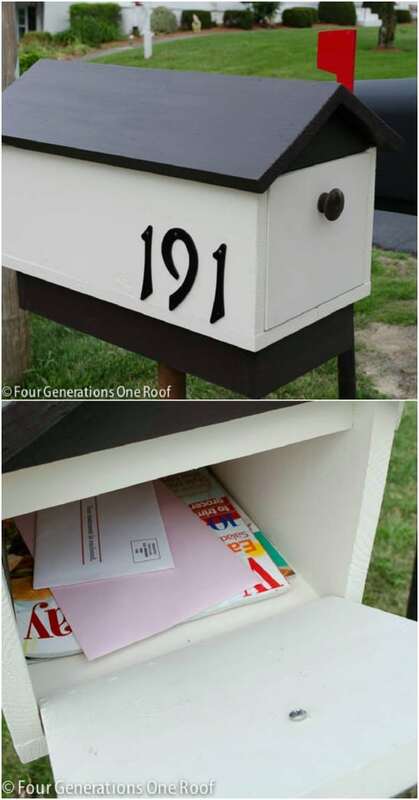 Your neighbors and your mailman are certainly going to appreciate the extra effort that you have put into making your mailbox look great and you’re going to love how simple these are to DIY. And, if you really want to dress up your curb appeal, check out these 17 DIY garden edging ideas, too. I love doing little things that make my home look better and these DIY mailboxes are easy projects that make a huge impact. For some of them, you will just have to paint your existing mailbox. For others, you can build a brand new one from scratch. 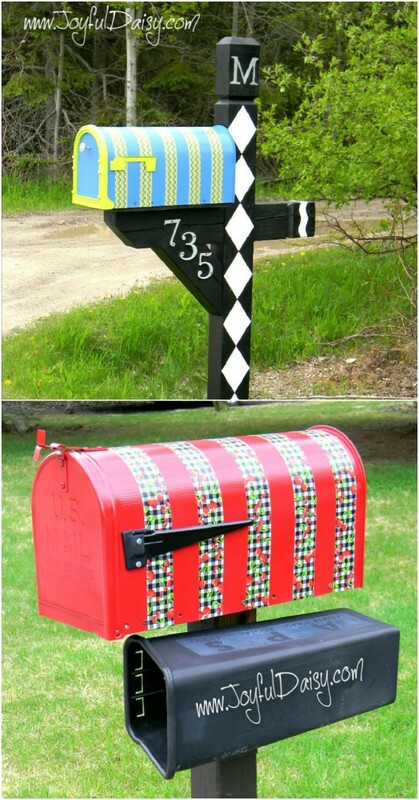 However you choose to dress up your mailbox, you are going to love these DIY versions. Some of them even use recycled materials and you know how much I love my recycling projects. 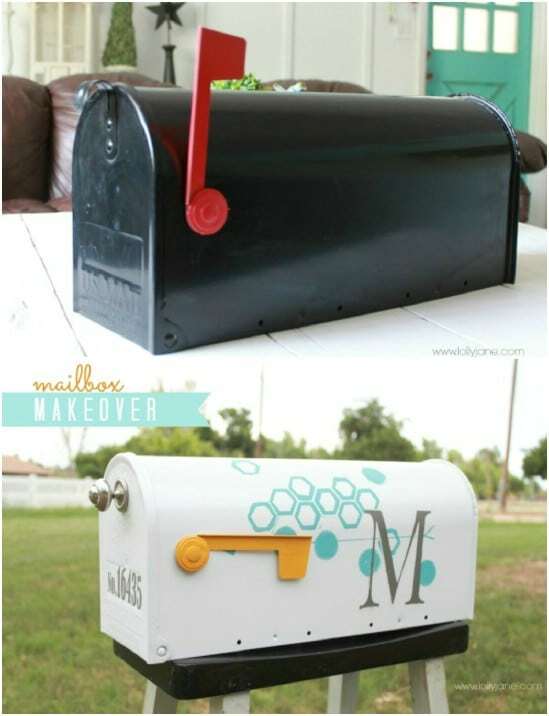 I hope you will love these DIY mailboxes as much as I do. And, while you’re working outdoors, be sure to take a look at these 35 DIY garden lanterns. If you want to build your mailbox from scratch, this DIY wooden mailbox is a good choice. It is really easy to build and doesn’t cost much in terms of materials and supplies. Plus, you can paint it any color that you want to match your outdoor exterior. You could spend about $10 on a cheap metal mailbox from a home improvement store or take that money and make your own DIY custom mailbox instead. If you want a really elegant mailbox, this faux copper one is great. You make this with an ordinary mailbox and some paint. A real copper mailbox will set you back about $300 but you can make this one for less than $15, and that’s if you have to buy the mailbox. If you have a mailbox that you can use, you can get this great copper look for the price of a can of paint. I love the Ombre look and this mailbox has it. 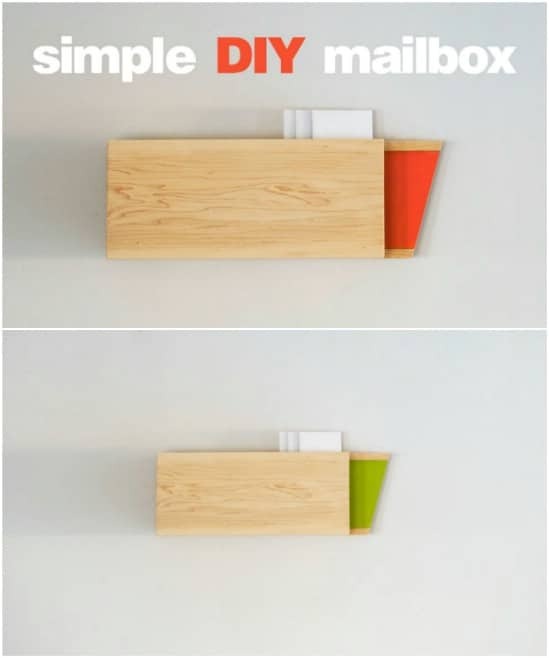 This one is super easy and you don’t have to spend a fortune to customize your mailbox with that great Ombre look. You just have to choose your color and then get a few cans of spray paint in different hues of that color. This is a great way to boost your curb appeal without spending too much. I love this rustic old fashioned looking letter box. You make this one from an old pallet and it is a pretty simple project. This one goes on the side of your house so it’s not really a great one if your mailman drives up to your box but if you have a walking mailman, this one is perfect. It has such a wonderful farmhouse look that is perfect for your DIY farmhouse furniture and décor. 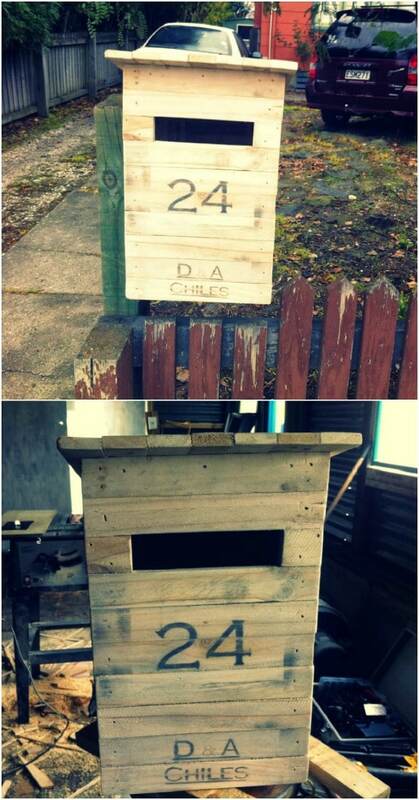 It’s a great way to upcycle pallets. Imagine having a colorful mailbox to greet you whenever you go to check your mail. Now, imagine that mailbox costing you very little. 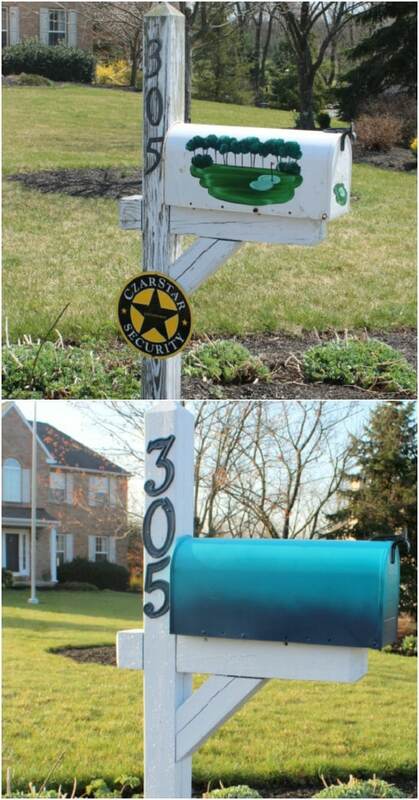 That is exactly what you get with this DIY duct tape mailbox. You make this by decorating an ordinary metal or plastic mailbox with paint and duct tape and it is gorgeous when it’s finished. A white mailbox is so elegant and gorgeous and this one is really easy to attain. You can buy a post that has a nice little planter on it or make it yourself. Then you just have to paint and attach your beautiful new white mailbox to get a lovely elegant look. The white gives it such a clean appearance and the flowers give it just the right pop of color. A brick mailbox instantly perks up your curb appeal and this one is pretty easy to make. If you have a stack of old bricks just lying around outside, this is a wonderful way to put them to good use. 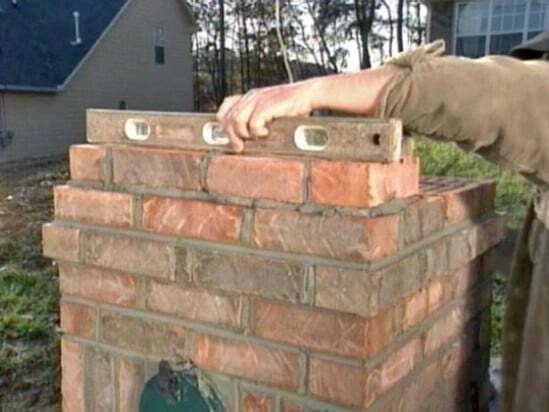 You just build your post using old bricks and cinderblocks and then add your mailbox to the top. It’s pretty easy and really cheap if you have the bricks on hand already. 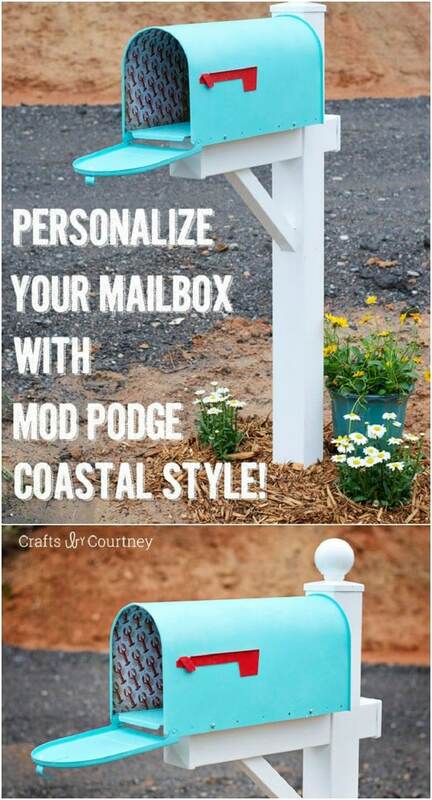 If you want a coastal look in your front yard – whether you live at the beach or not – this DIY coastal themed mailbox is an easy way to get it. This one is super easy and won’t cost you more than a can of spray paint and some Mod Podge. I love the blue color and if you wanted, you could even distress this one a bit to really give it a coastal look and put it on a white post that is distressed, as well. Here is another beautiful way to upgrade your current mailbox. This one is made with paint and vinyl and you can monogram it so that you never have to worry about your mailman forgetting whose mail goes into your box. It’s a really easy one to make and it won’t cost you nearly as much as buying a personalized mailbox. Plus, you can make it any color or combination of colors that you need. Here is another beautiful wall mounted mailbox that you can make from scratch. 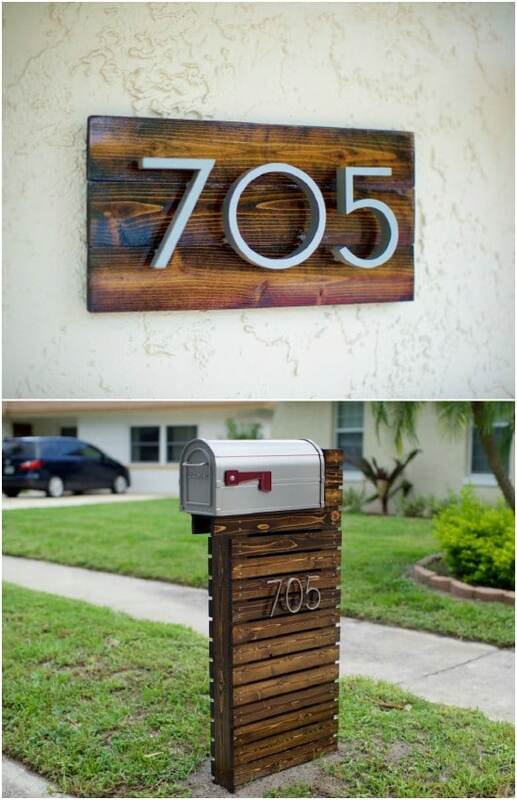 You don’t even need a lot of wood for this one and you can customize it by painting it any color that you want and adding your house numbers and other designs. This one is really easy to build and will look beautiful hanging on the front porch right by your entry door. You can even use reclaimed wood for this. It’s a great one to add to your list of reclaimed wood projects. You can easily build this gorgeous modern mailbox with left over wood from other projects, or you could use a pallet. It is a lovely mailbox post that you just add your own mailbox to when you’re finished. This would look great with a wooden mailbox and you can paint it or leave it a nice wood finish. You can buy these mailboxes online for around $250 or build this one yourself for less than $50. Imagine having a mailbox that looks just like your house. 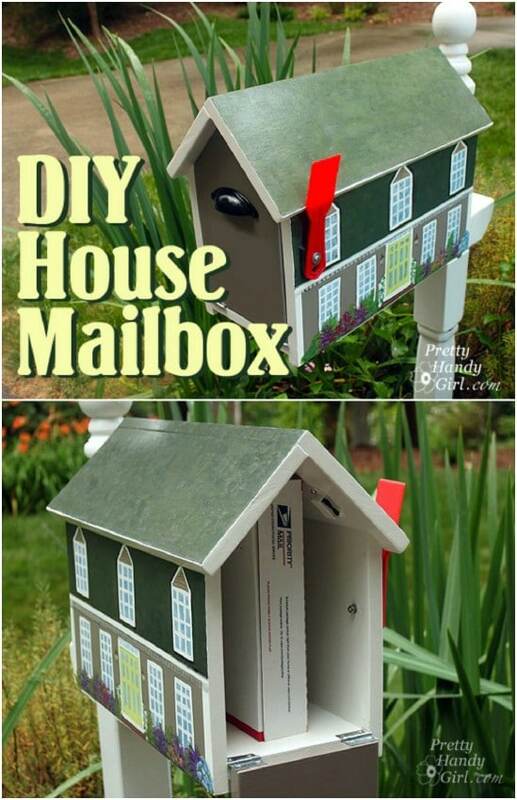 You can with this easy to make DIY house mailbox. It really is a simple project and won’t take you long at all to complete. You can paint it when it’s finished to make it look just like your house. If you want something that is going to instantly boost your curb appeal, this is the perfect mailbox for you. 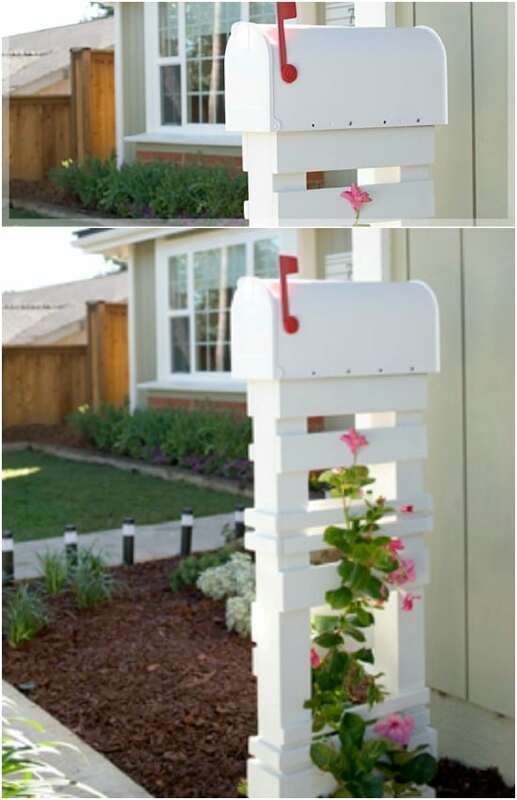 You can build this trellis mailbox post from existing trellis or from scratch with small strips of wood. 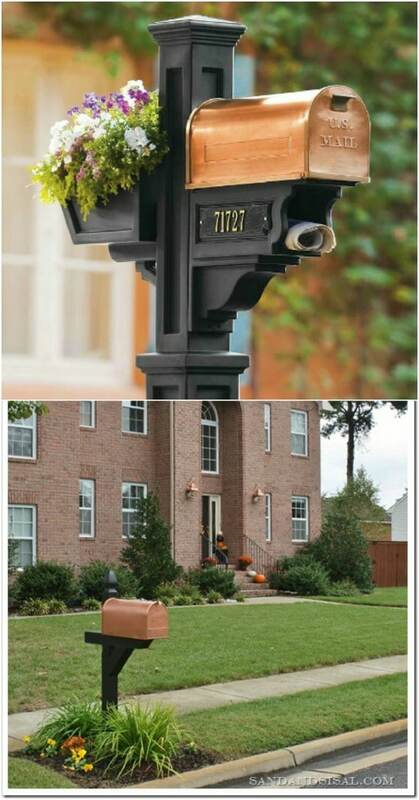 However you do it, this is a lovely DIY mailbox to add to your front yard. You could even plant trailing flowers around it during the spring and summer months to have a nice splash of color at your mailbox. This one is easy and really cheap if you happen to have a few spare boards on your hands. I love the look of this wooden mailbox post with old horseshoes hanging off of it. What makes this one even more rustic is the galvanized feeder that the post is planted in. You can fill the feeder with plants and use a metal mailbox to give this a wonderfully rustic farmhouse look. It is a really easy look to achieve and this one won’t cost nearly as much as a custom mailbox. This little mailbox is perfect for your office or you can put it on the front porch. If you build it a bit larger, you can even put this one on a post in the front yard. It is really easy to build and you can use any type of wood that you have on hand, although I really love the look of this maple version. When it’s finished, just add a coat of wood protectant and let it shine in its natural color. Wonderful site. There are so many great things to put to use. Thank you for all the hard work you have pun in this for others to enjoy.